Do you have a 2014 or newer Lexus IS sedan? If so, you may enjoy some of the newest enhancements to Display Audio! Increased Phone Book Capacity: the phone book can now store 2,500 contacts and each contact can have 4 phone numbers! You can also sort your contacts by first or last name. Favorites: Save your favorites by tagging the star next to the contact’s name. You can then recall all of your Favorites with a tap of a button- allowing you to quickly place calls and manage a long list of contacts. 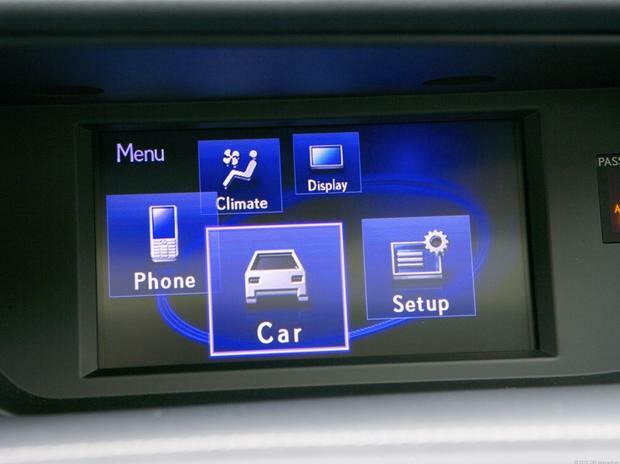 Subscription-Free Traffic and Weather: Lexus owners can now have 24-hour access to live traffic and weather even without upgrading to the navigation system. Now standard, the traffic and weather data is supplied by HD Radio and is updated every 15 minutes when within range of their signal. Customizable Radio Presets: You are now in control of your Radio Presets and can elect to just display 6, 12, 18 or more radio preset stations based on your own preference. This makes navigating your radio stations far easier! Adjust Call Volumes: You can now adjust the transmit volume for calls made via Bluetooth! This user adjustable setting can help the people on the other end of your call hear you better and compensate for road noise or a blasting AC in the summer months! These are just a few of the enhancements found on 2014 or newer IS models. To learn more, please visit our website to learn more on new Lexus models!